Boosted by the return of Iain Hume, FC Pune City picked up their first victory of Hero Indian Super League (Hero ISL) 2018-19 after beating Jamshedpur FC 2-1, courtesy a late goal. 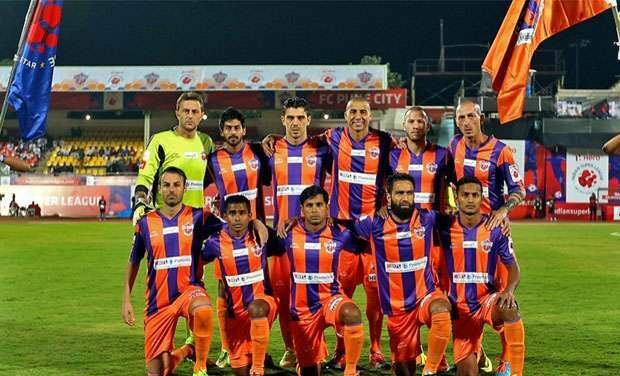 It was also Jamshedpur’s first loss of the campaign and ended their seven-match unbeaten streak. The three points helped Pune move out from the bottom spot of the table. The Stallions leapfrogged Delhi Dynamos FC and Chennaiyin FC to occupy the eighth spot in the standings. Diego Carlos scored as early as the fifth minute for Pune but the early lead was cancelled out by SumeetPassi in the 10th minute. Pune struck the first blow five minutes into the match when Diego Carlos was allowed to run at the Jamshedpur defence from the halfway line. The Brazilian scored on his return from a three-match suspension with a neat finish from outside the box. In the eighth minute, a long ball was flicked into the box for SumeetPassi by Tiri but the Indian striker’s shot from close range was kept out by Pune custodian Kamaljit Singh. At the other end, Marcelinho’s dipping strike from the edge of the box was kept out by Paul. Passi was afforded another chance to score two minutes later when Carlos Calvo found him unmarked in the centre of the box. This time the Indian striker found the net with a crisp header to pull the visitors level. Despite being a doubt going into the match, AshiqueKuruniyan was a lively presence on the field and almost restored Pune’s lead on the 17th minute. His thunderous half-volley had Subrata beat but hit the crossbar.Locked at 1-1 going into the break, both teams had everything to play for in the second-half. Both teams looked to seize the initiative after play resumed and the Stallions almost got the all-important second goal three minutes into the second-half. Marcelo set up Robin Singh for a shot but the striker couldn’t find the target with his shot. Ashutosh Mehta, on an overlapping run from the right flank, failed to control Marko Stankovic’s delightful lob into the box while the impressive Carlos Calvo saw an effort fizz over the bar at the other end as both sides searched for a match-winner.Pune’s efforts bore fruit in the 86th minute through a Marko Stankovic corner-kick from the right. Matt Mills met the delivery inside the box and directed a powerful header into the net to hand Jamshedpur their first defeat and secure Pune’s first victory. Robin was almost immediately replaced by Hume, who was making his debut in the Pune shirt. The Canadian also became the only foreign player to feature in all five editions of the Hero ISL with the appearance.